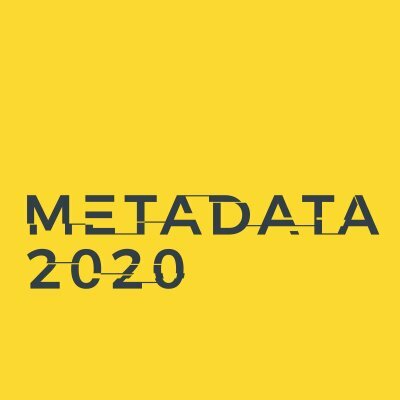 Metadata 2020 is a collaboration that advocates richer, connected, and reusable, open metadata for all research outputs, which will advance scholarly pursuits for the benefit of society. We aim to create awareness and resources for all who have a stake in creating and using scholarly metadata. We will demonstrate why richer metadata should be the scholarly community’s top priority, how we can all evaluate ourselves and improve, and what can be achieved when we work harder, and work together. Richer metadata fuels discovery and innovation. Connected metadata bridges the gaps between systems and communities. Reusable, open metadata eliminates duplication of effort. When we settle for inadequate metadata, none of this is possible and everyone suffers as a consequence. You! We will be offering many opportunities for getting involved: workshopping, listening, creating, evaluating, and developing. This page lists the founding team, advisors, and early advocates. These are some of the people who have helped so far, either by running workshops, or drafting resources.